Inspired by the seventies 6BB chronographs Hamilton supplied to the RAF, the new Khaki Pilot Pioneer Auto Chrono is a solid interpretation of the original. In the seventies several companies, Hamilton and CWC amongst them, supplied chronographs to the British Royal Air Force (RAF), marked “6BB” on the back for the RAF (or “0552” for the Royal Navy). These were distinguished by the asymmetrical case, due to the crown and pusher guards on the right side of the case. 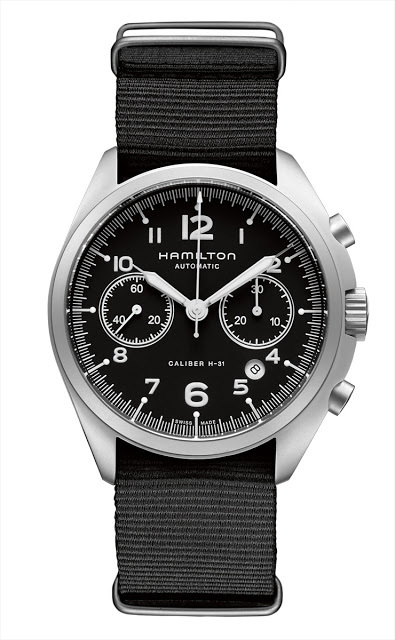 The Hamilton Khaki Pilot Pioneer Auto Chrono retains this characteristic case styling, as well as much of the spirit of the original. 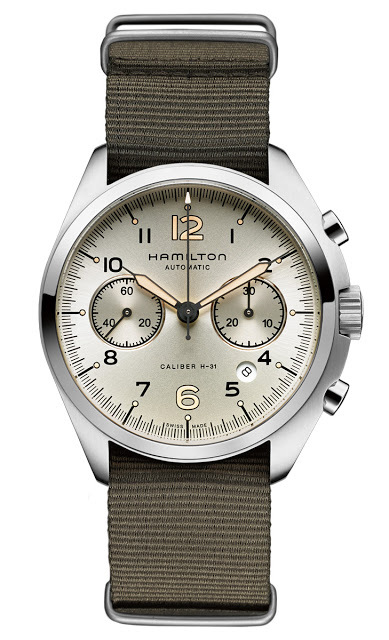 Hamilton has had a string of nicely done vintage-inspired timepieces, including the Pan Europ and Khaki Navy Pioneer, and this is no different. There are concessions to modernity of course. The case is 41 mm in diameter with a sapphire crystal, compared to the original’s 39 mm. Equipped with the H-31 movement (actually a Valjoux 7750 with 60 hours power reserve), the Khaki Pilot Pioneer Auto Chrono is a two-counter chrono like the original, but it has an additional circular date window. Like with the Longines Heritage Military 1938 reissues, the date window is practical but incongruous with the vintage styling. The Khaki Pilot Pioneer Auto Chrono is available with a black dial, which is most like the original, as well as a silverish version with ivory Luminova. Both are available on bracelets or matching canvas NATO-style straps. This will retail for US$1845. At Baselworld 2013 Hamilton will launch the Hamilton Jazzmaster Face2face, a reversible, double-faced wristwatch. Inside the massive 53 mm by 44 mm oval case are two automatic ETA movements, placed side by side. 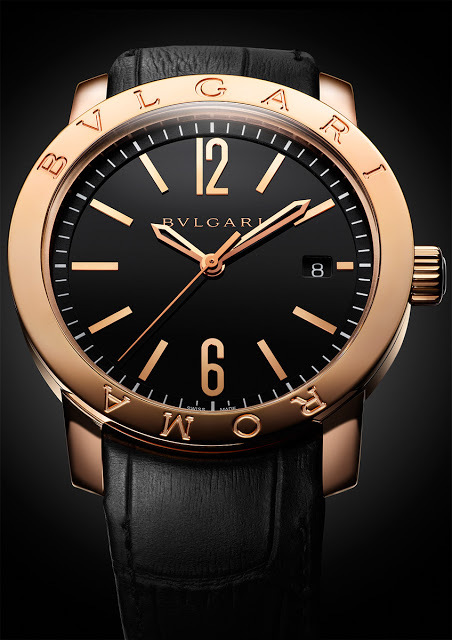 The Bulgari Bulgari, the brand’s most recognisable timepiece, has been revamped and upgraded for Baselworld 2013. The automatic now uses an in-house movement, the cal. 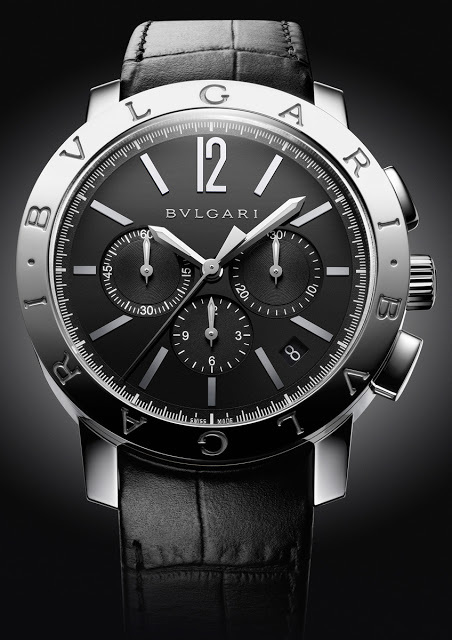 BVL 191, while the new Bulgari Bulgari Chronograph has the Zenith El Primero inside. 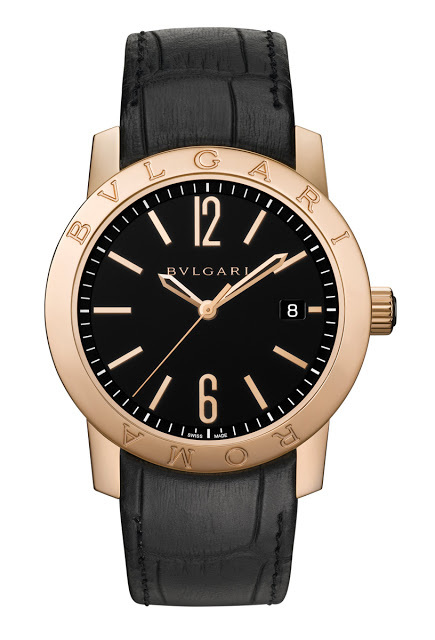 First announced here last week, the Bulgari Bulgari line has received a significant facelift for Baselworld 2013. The bezel is slimmer and more rounded, as are the lugs. And the hands and indices have become more substantial. 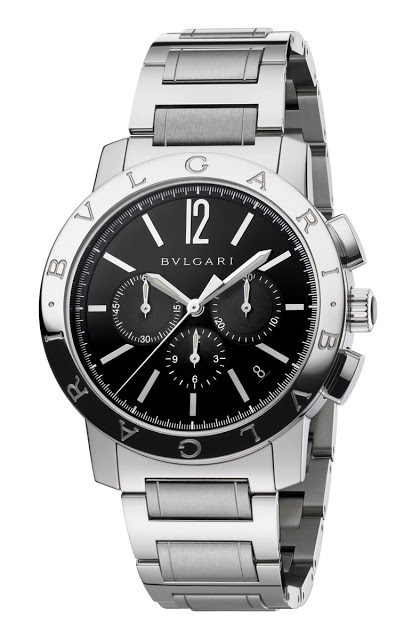 Mechanically the Bulgari Bulgari has undergone major changes. The entry level automatic now uses the in-house cal. 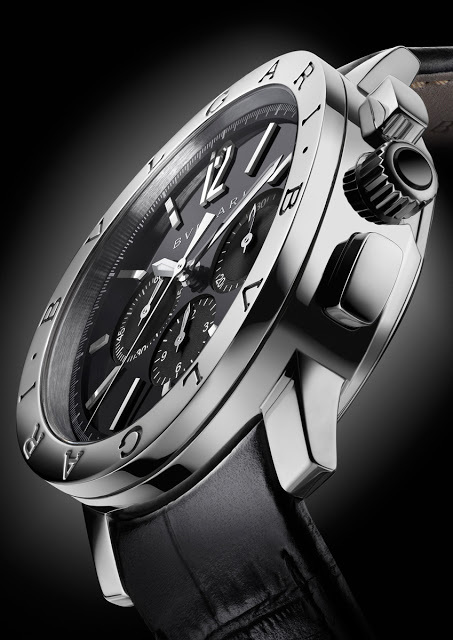 BVL 191, made at the company’s facility in La Chaux-de-Fonds, while the chronograph can boast the Zenith El Primero. The automatic is available in two sizes, one being a modern sized 41 mm available in steel, pink gold or a combination of both. Each version is available on strap or bracelet, and with an ivory or black dial. In Singapore prices start at S$8650 for the steel on leather (~US$7000) and S$9520 for steel on steel (~US$7700), up to S$28,900 for the rose gold on strap ~(US$23,500), all of which include 7% tax). 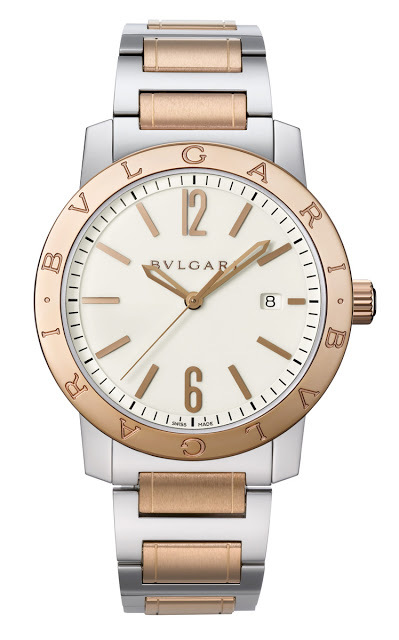 The other version of the new Bulgari Bulgari is more classical, at just 39 mm wide and made only in pink gold. It is a homage to the original of 1975, of which only 100 were made as gifts for the jeweller’s best clients. 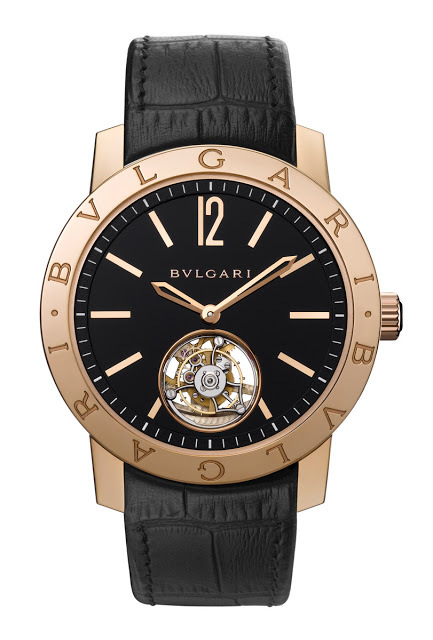 Designed by Gerald Genta, it was engraved “BVLGARI – ROMA” on the bezel, instead of “BVLGARI – BVLGARI” that has come to characterise the current version of the watch. 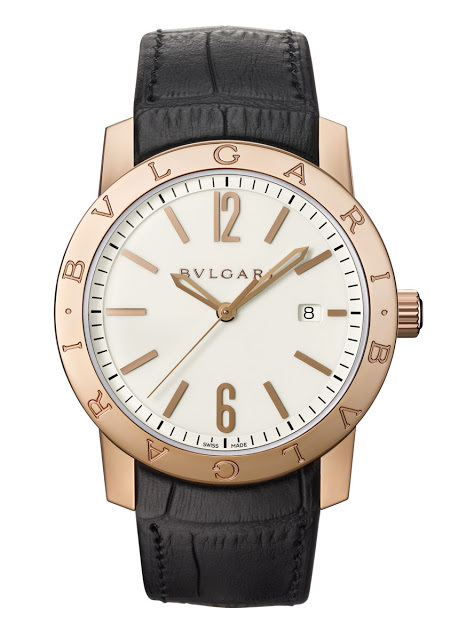 The 39 mm “ROMA” edition is available with an ivory dial, or in a 250 piece limited edition with a black dial. This retails for S$32,300, or about US$26,200, with 7% tax. 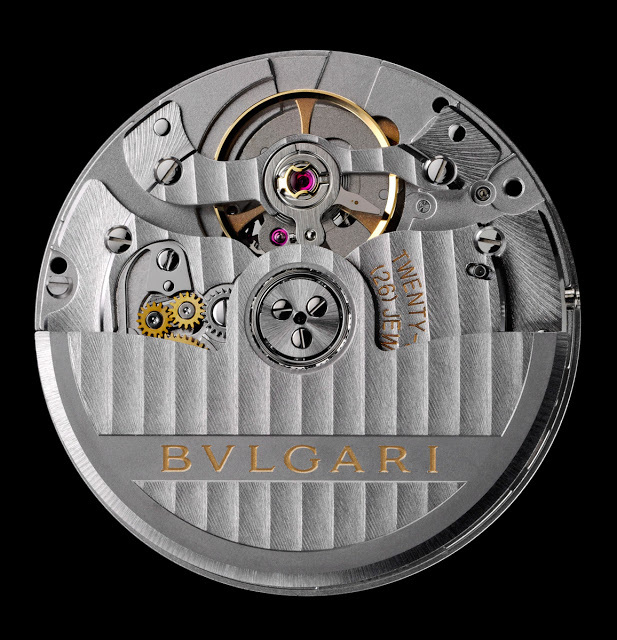 In addition to the automatic, the new Bulgari Bulgari is also available as a chronograph equipped with the 36,000 bph Zenith El Primero movement, which Bulgari calls the BVL 328. 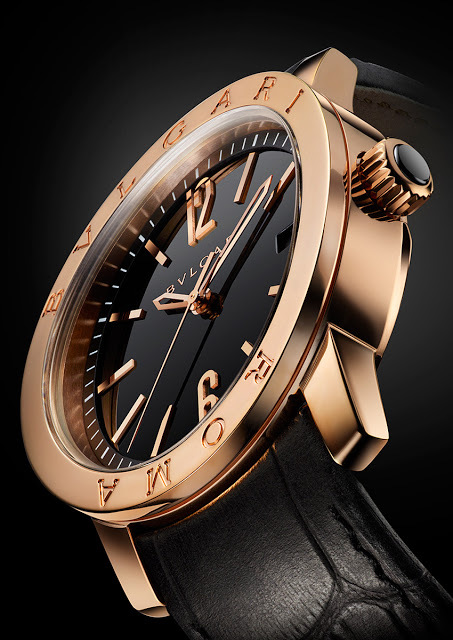 LVMH, which already owned Zenith, acquired Bulgari two years ago, so it was only a matter of time before Bulgari start using Zenith movements. 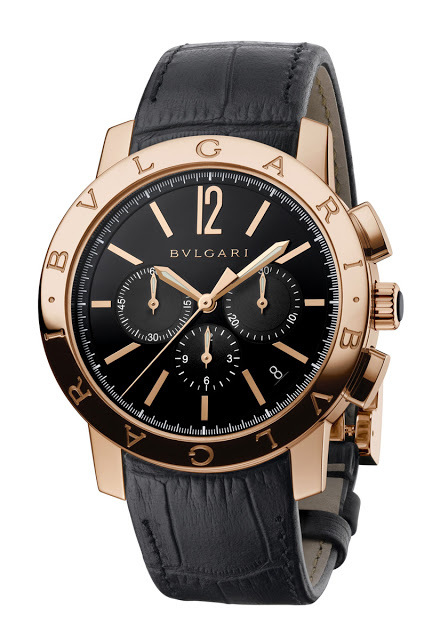 The Bulgari Bulgari chronograph is available in steel or pink gold, with only a black dial for now. The steel retails for S$12,500 (~US$10,400) and the rose gold is S$36,300 (~US$29,500). Compared with the equivalent Zenith, this Bulgari costs a bit more, in fact the Zenith Captain Winsor Annual Calendar can be had for the same amount. 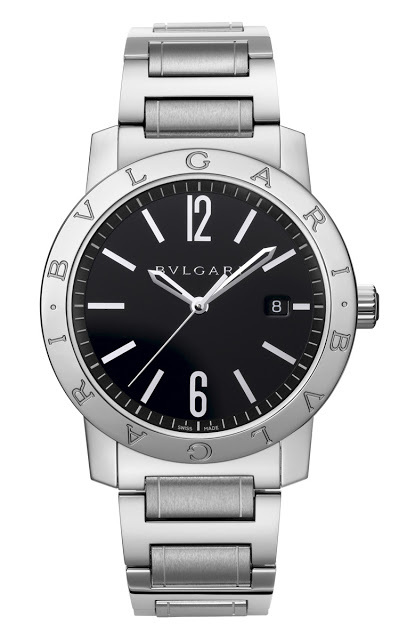 That being said the Bulgari has a slightly more elaborate dial and finer case construction, and of course a more recognisable brand. 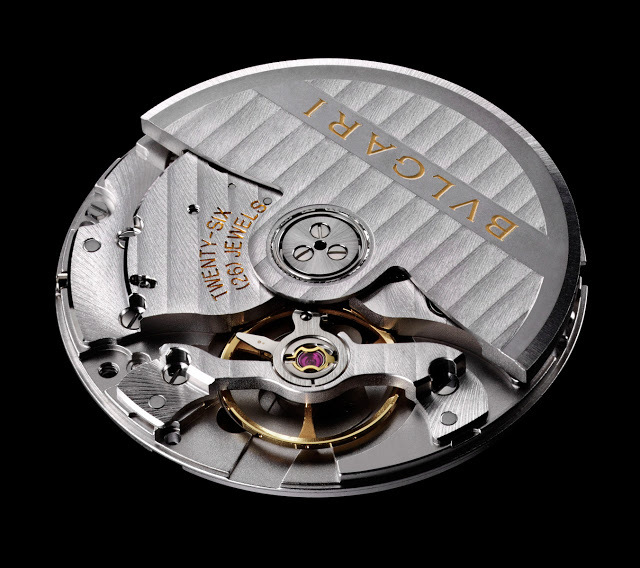 And the top of the line model is a tourbillon, with the automatic BVL 263 movement. 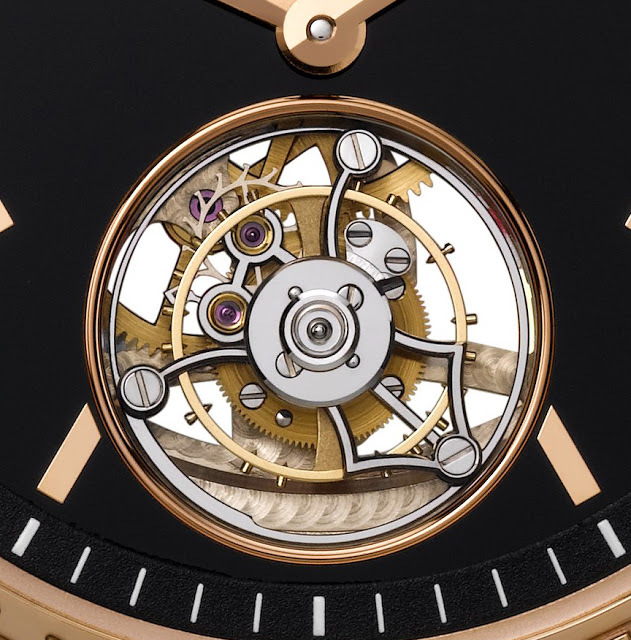 Made in the company’s high complications workshop in Le Sentier, in what was formerly the atelier of Daniel Roth and also Gerald Genta, the tourbillon appears to be a flying tourbillon due to the absence of a bridge. But there is actually a tourbillon bridge, except it is in clear sapphire. This retails for SFr80,000, or about US$85,000.